Our planes are a major attraction at Aviation Cadet World. 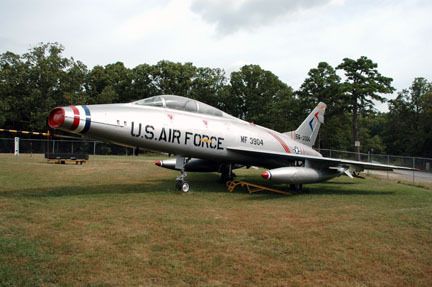 We’ve worked hard to provide a final resting place for many of these retired air crafts. We want them to be enjoyed by those who once flew them and generations to come. 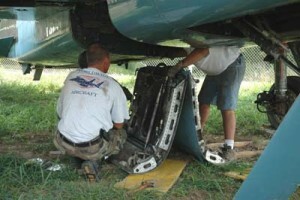 World Wide Aircraft movers completing our F-100-F by putting on the gear doors. The lovely blue it was in when it arrived from the army.